Appeals « The Law Office of Linda A. Bailey, P.A. Attorney Linda A. Bailey has been handling cases at the appellate and trial levels for more than 27 years, including both criminal and family law appeals. If you and your trial attorney believe the court failed to properly rule in your divorce case, you have the right to contest the decision by appealing to a higher court, a District Court of Appeals. An appeal means that you are asking for a review of the decision in your case. A Notice of Appeal must be filed within 30 days of entry of the judgment you are appealing. Failure to timely file this notice will cause you to lose your appellate rights. Your appeal must have a legal basis and should be appropriate under the circumstances of your case – not just because you disagree with the judge. During an appeal, you cannot present any new evidence or facts, and the appellate court’s review of the trial court record can address procedural errors, errors of application of the law, or errant findings of fact for which no competent substantial evidence was presented to support. In most instances, arguments must be properly preserved by trial counsel at the trial court level in order to be heard by the appellate court. 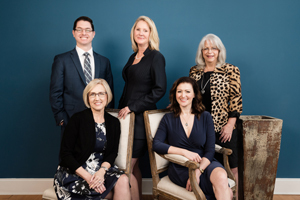 Whether or not you worked with our firm on your divorce proceedings, the experienced family lawyers at The Office of Linda A. Bailey can handle your appeal. We can examine your case record and provide you with an assessment of your appellate strengths and weaknesses. After this assessment, you can choose whether or not to move forward with the appellate process. Appeals are complicated procedures which require extensive knowledge about complex and technical legal and procedural rules. 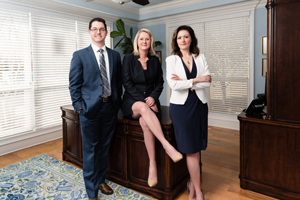 It is critical that you are represented by a Florida family law appeals attorney who has experience in appealing divorce issues. Linda A. Bailey’s practice in the areas of criminal law and family law, both in state and federal courts, involved litigation in a technical court environment handling complex legal issues, jury trials and appellate briefs and oral arguments before the Florida First District Court of Appeals and the Federal Eleventh Circuit Court of Appeals. Linda A. Bailey family law appellate cases of record.